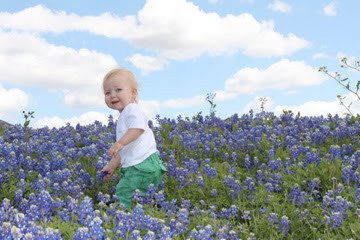 Springtime in Texas is glorious! 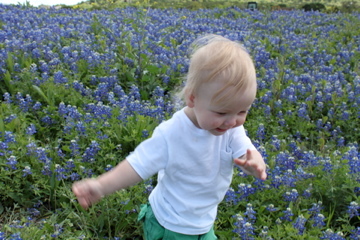 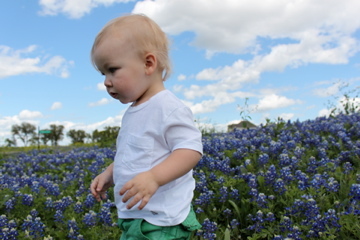 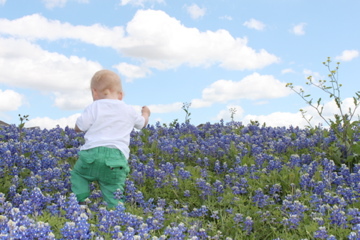 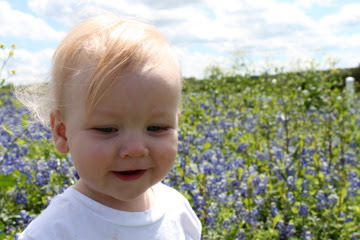 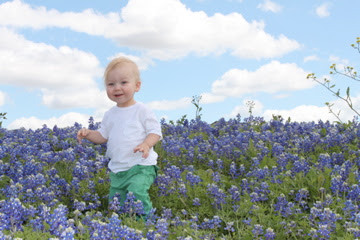 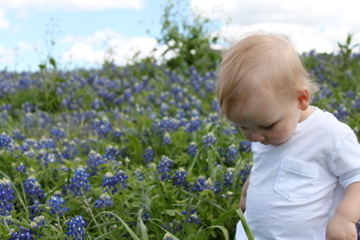 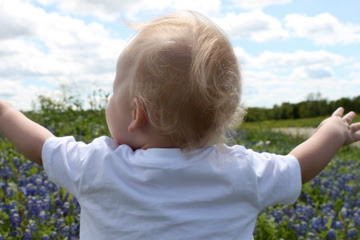 A few weeks ago, I set out to take a few pictures of Cooper in the bluebonnets. 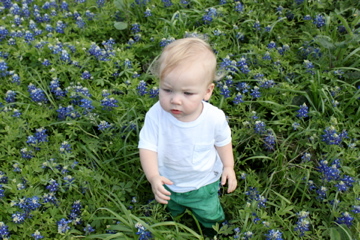 Like most things, he was a little timid at first. 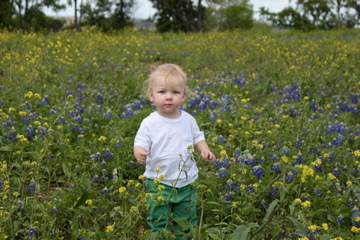 I guess it IS kind of weird when Mom plops you down in a field of flowers... 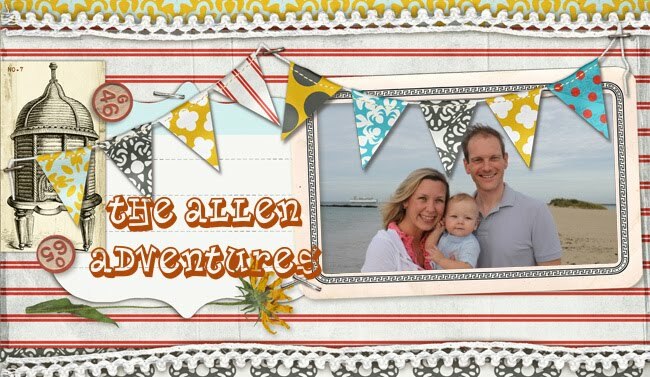 But it wasn't too long before our little wild at heart boy came alive just being outside! 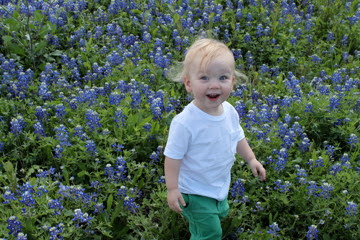 I ADORE this picture of my boy! 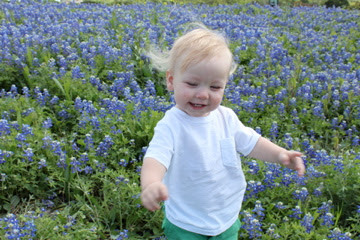 I love his wild hair and that sweet expression on his face! 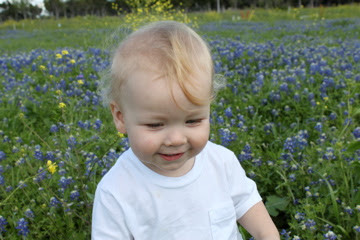 And I love that you can see some strawberry peeking through in his hair here. 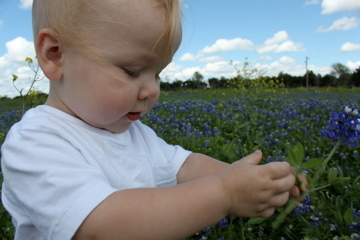 He gets that from his Daddy! 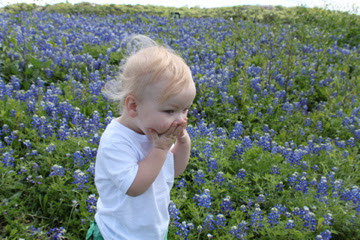 This is his face when we ask him to "Tebow." 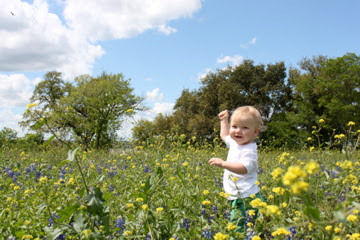 Love that.